Bold typography and sophisticated imagery define the structural layout of this interior design firm’s new portfolio site. 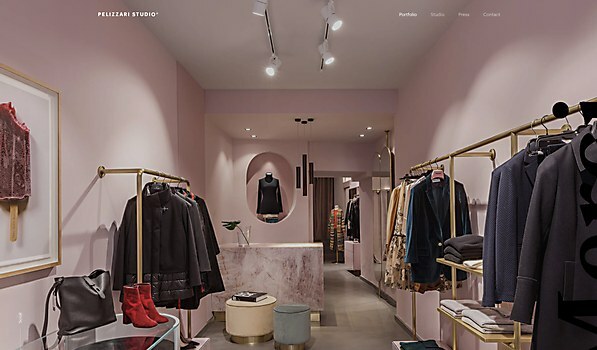 Background: The main aim of Pelizzari Studio’s website was to impress and astonish users through its magnificent projects. Pelizzari works internationally, and as such, the audience is incredibly sophisticated and demanding. To put it simply, we needed to showcase imagery and the behind-the-scenes ideation of interior design projects. 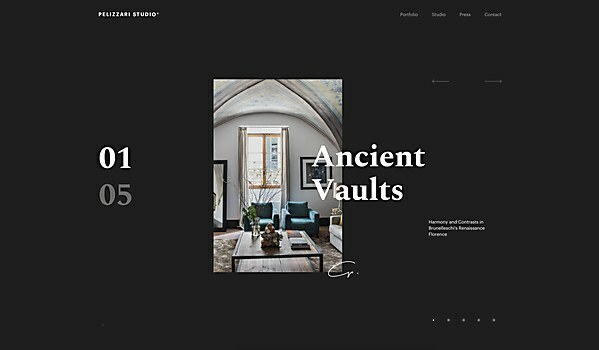 Highlights: The website makes great use of typography, which defined the structural layout for the whole experience. The process of choosing colors has been really intense and was performed toe-to-toe with the client, since that’s one of the signature peculiarities of Pelizzari studio. 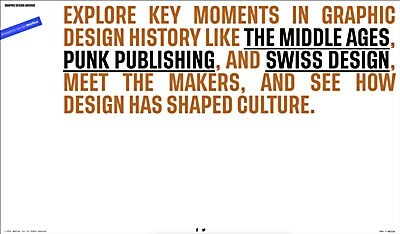 Last but not least, given the important magazines in which Pelizzari has been featured, the Press page, which is generally overlooked and rushed through, was made an integral part of the website and presents a unique experience in itself. Challenges: The mouse pointer and all its UI interactions. Details are what make a portfolio website stand out. That’s why we put a lot of attention on this task. 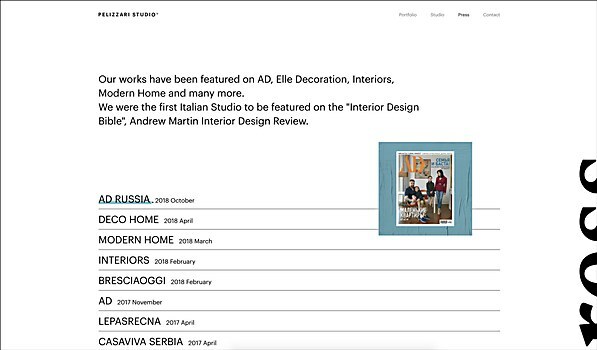 Every website we design and develop can’t just be an exploration of style, so balancing performances and appearance was of the outmost importance. Favorite details: We are proud of the work performed with the mouse pointer—like the distortion it creates when hovering over portfolio images. Also, we’re really satisfied with the image effects during the page transitions, enabling the possibility to only animate the elements that are present on the page. Technical features: To realize the mouse pointer, we developed a specific system that enabled us to separate the pointer from the structure of the pages and that could be “captured” by the single page elements, generating a new appearance and position. Anything new: Pelizzari was the first website where we decided to implement our custom internally developed CMS based on Vue.js and Firebase. This required us to experiment with Vue.js not solely as a front-end framework, but also as a tool for back office user interface development. 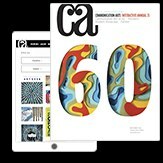 The Graphic Design Archive gives users a glimpse of periods of design history that continue to shape the modern practice of design. 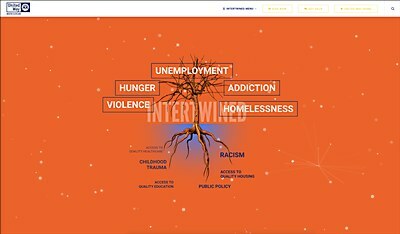 Custom multimedia content and dynamic data displays challenge users to think about the root of the cycle of poverty. 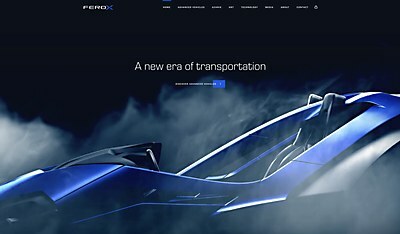 Futuristic technology melds with the sleek curves of advanced vehicles in Humaan’s new site for Ferox.